KL Tower as a landmark of Kuala Lumpur. Kuala Lumpur Tower (Menara KL) is one of the most important attractions in Kuala Lumpur which was opened to the public since July 23, 1996. 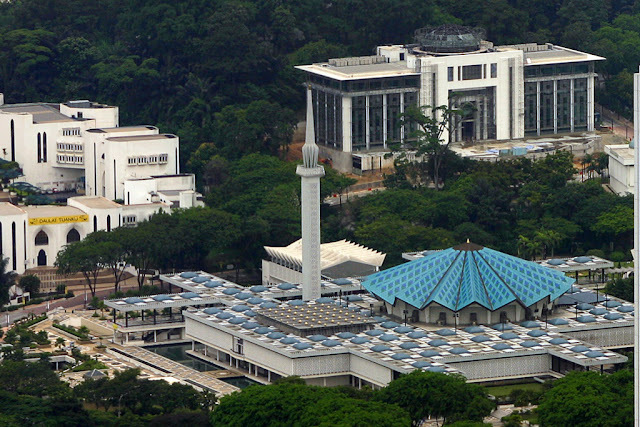 It was opened by 4th, Malaysian Prime Minister Tun Dr. Mahathir Mohamad on 1 October 1996. Since then, Kuala Lumpur Tower continues to be visited by many people, in addition to carrying out its original function as a telecommunications tower. 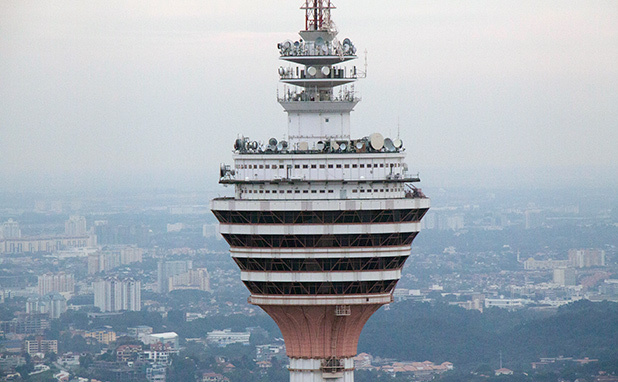 Kuala Lumpur Tower is the 4th highest telecommunications tower in the world with a height of 421 meters. Its construction began on 6 July 1992 and was completed in 1996. The construction phases are important because it does not use pilling system instead of 50,000 cubic meters of concrete was used as its foundation. The top part of KL Tower. Open deck at KL Tower. KL Tower and KLCC at night. 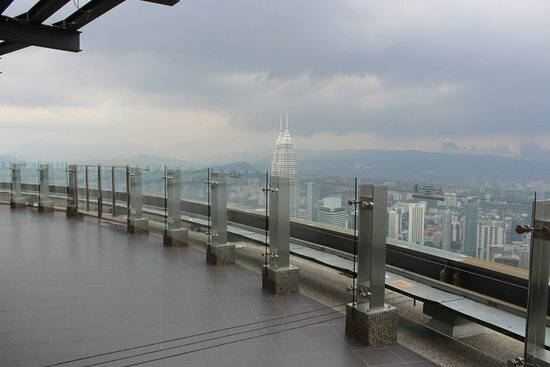 Aside from being a telecommunications tower, the tower also include observation deck that allows visitors to see the sights of Kuala Lumpur City from above. There is also a revolving restaurant that allows guests to dine and at the same time rotating 360 ​​degrees around the tower. 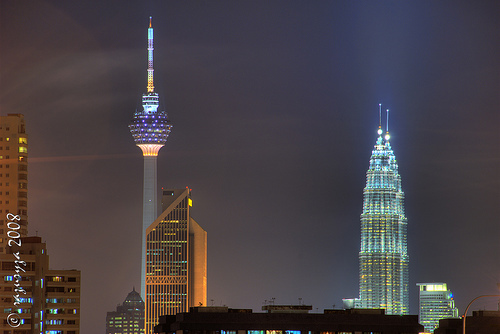 It is not only a beautiful tower, but also provides beautiful view of Kuala Lumpur at night. KL Tower also provides several other services including space held a ceremony such as corporate meetings and seminars, wedding functions, F1 simulator and few exhibitions again according to the season. 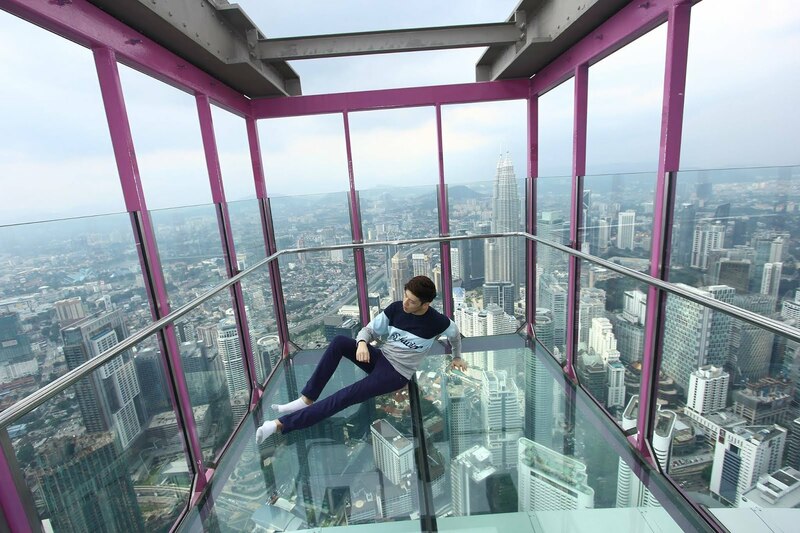 There is also a variety of annual events celebrated at Kuala Lumpur Tower such as 'base jump', racing up the stairs, exhibitions, and special celebrations and so on. So you have to follow the schedule of events at Kuala Lumpur Tower if you don’t want to miss it. 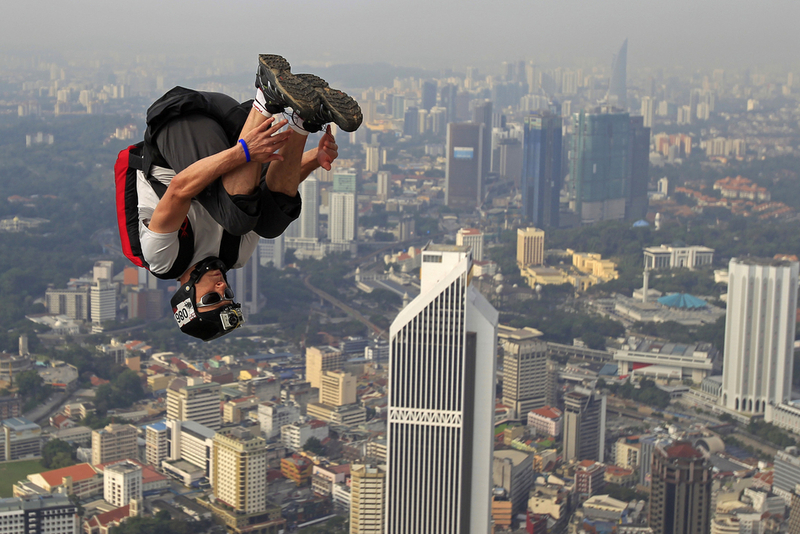 The annual event at Menara KL, 'base jump'. The latest attraction 'Sky Box'. 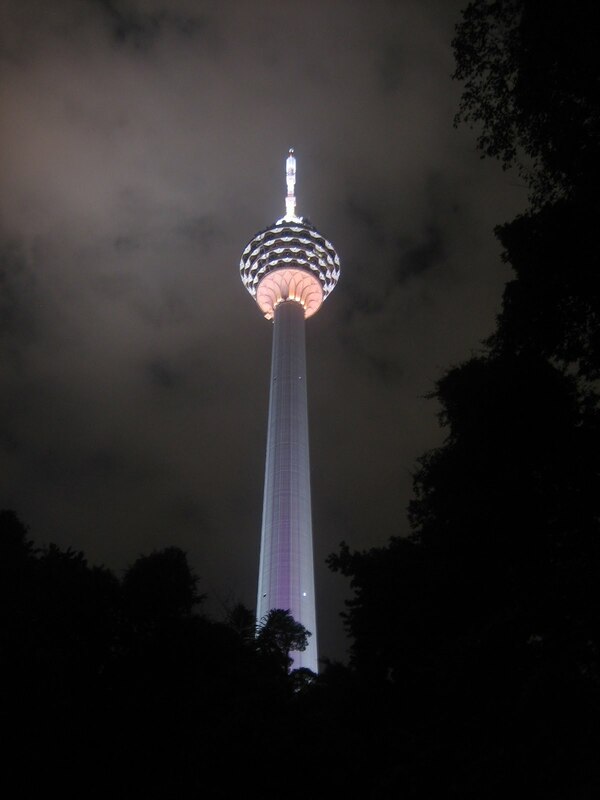 KL Tower at the night. 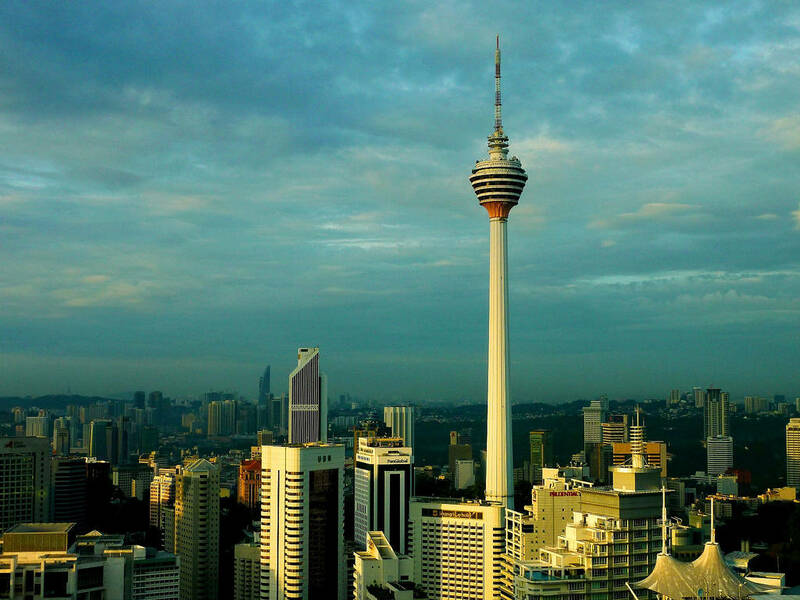 For more information about Kuala Lumpur Tower you can visit the websites of KualaLumpur Tower. Make sure you do not miss other interesting locations near the tower.